One of the best things about fall is all of the fun holidays, and is there anything better than the spookiness of Halloween? I love hearing my clients’ and students’ excitement as they tell me about their costumes and listen to best impressions of what a ghost sounds like; their anticipation makes this time of the year even sweeter. With all this fun going on, I want to make sure my spooky Halloween-themed interventions are still goal-oriented, so let me share with you a few songs that foster the spirit of the season while still targeting those goals. There are lots of rules when it comes to going trick-or-treating. The song “Trick or Treat” clearly explains all of the essential steps and basic safety rules when it comes to collecting candy on Halloween night. “Trick or Treat” pairs really well with visuals, and I challenge children to put the visuals in the correct order, as well as create a “fill-in-the blank” for each safety rule. On top of that, the chorus is motivating and can encourage vocalization of the word “boo”! 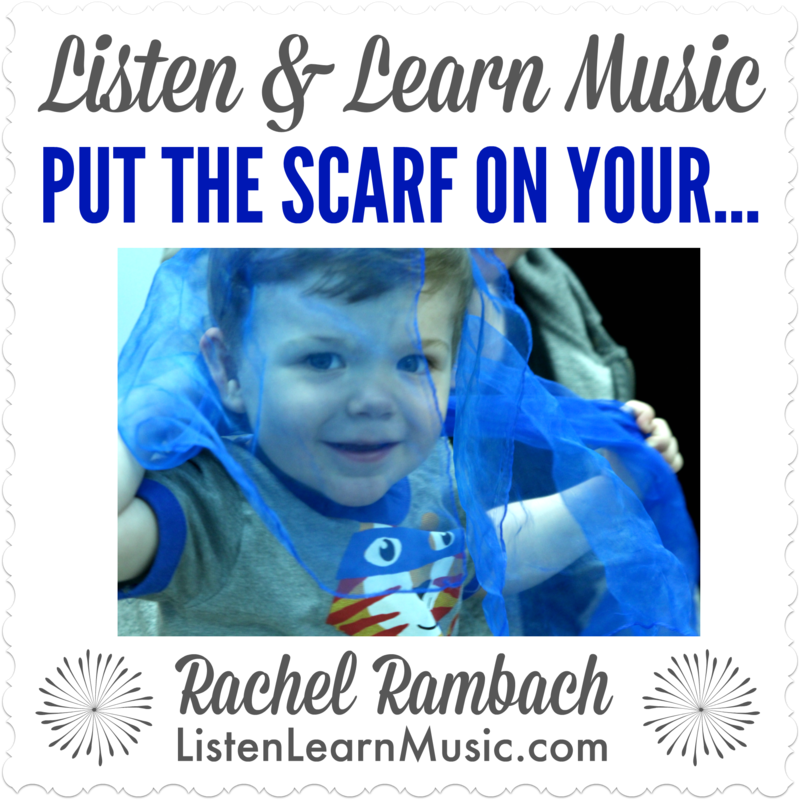 This next one wasn’t originally meant to be a Halloween song, but hear me out: “Put the Scarf on Your…”, but instead of singing about a scarf, change the lyric to “ghost” and sing the song in a minor key. Um, what?!?!? So fun, PLUS it continues to target the same goals as the original song, but in a spooky way. My clients and students look forward to the spooky scarf song all year, and love choosing what color “ghost” they would like. My kiddos have been blowing their scarves off of their heads and making their “ghosts” fly around the therapy room, which has been so fun and motivating. 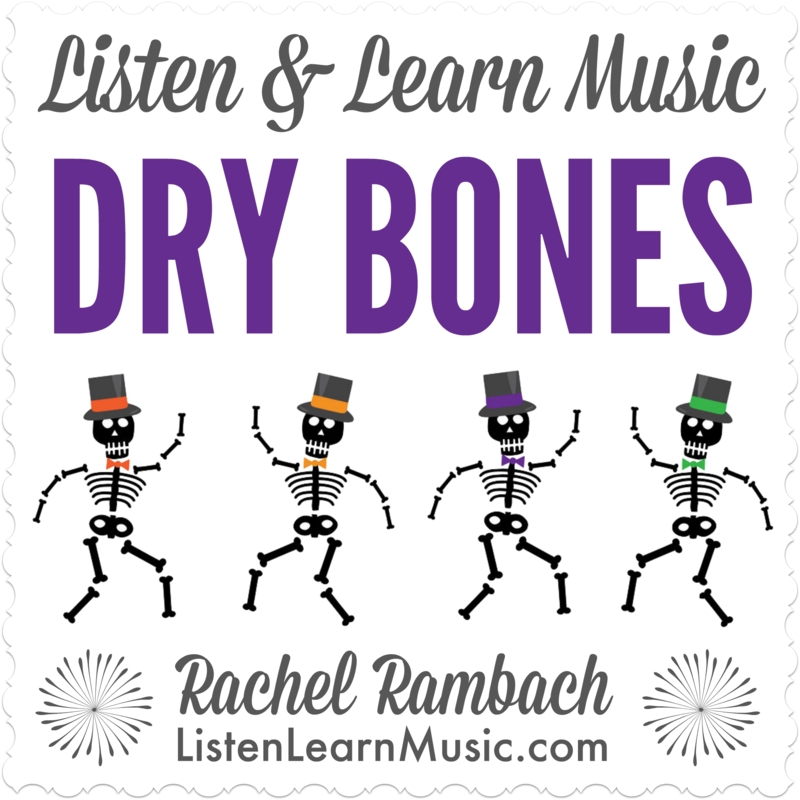 “Dry Bones” is a familiar song that many children and adults will know. I’ve been utilizing this song with rhythm sticks (you know, they sound like skeleton bones!) to encourage children to identify body parts. 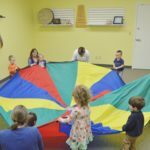 During the chorus, the children tap their rhythm sticks to their heart’s content, but during the verse, I encourage the children to point to their “bones” with their rhythm sticks. Some of my students were initially a little confused when I sang about their back bone and thigh bones, as some of these body parts are not ones I typically cover, but after a few times, they are singing along and excited to show me all of their “bones”! One of the best parts about Halloween is having fun with make-believe, and experiencing creepy things. 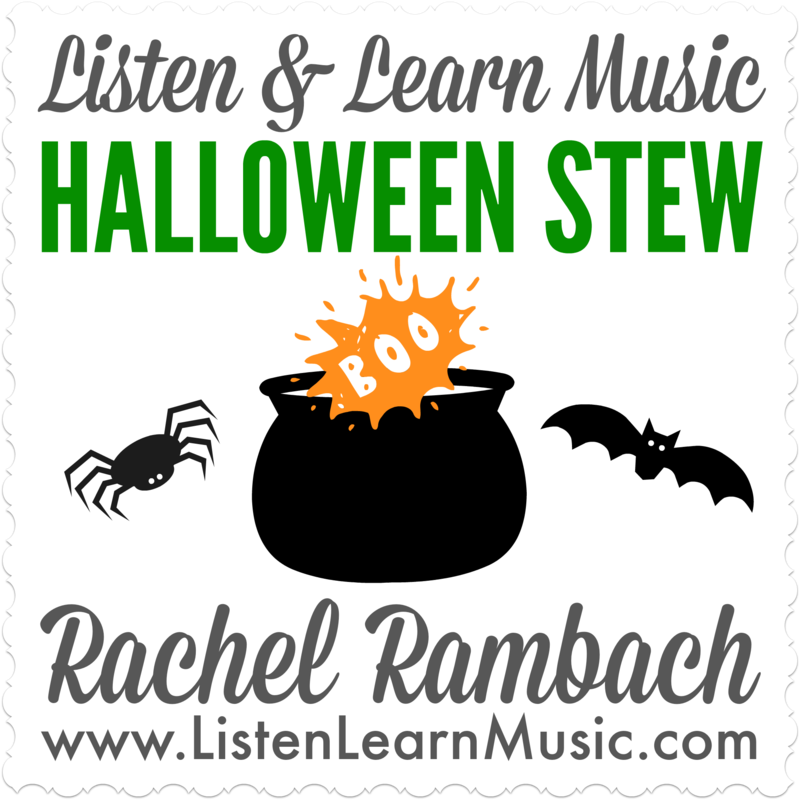 “Halloween Stew”, adapted from the Hap Palmer classic “Witches’ Brew”, lists all kinds of objects, all beginning with specific letters, starting with A. This song has visuals already in the Dropbox folder, and can be used to encourage children to identify the objects that they see. What I like to do with “Halloween Stew” is actually “make” a stew with my groups. I fill a clear plastic container with slimy water beads and add in small objects that correspond with the lyrics. 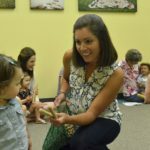 I encourage children to reach into the beads and choose an object and identify it, or tell them to choose an object that begins with a specific letter. After they have chosen, the children toss their object into a cauldron and stir the stew all around while the group sings the chorus. 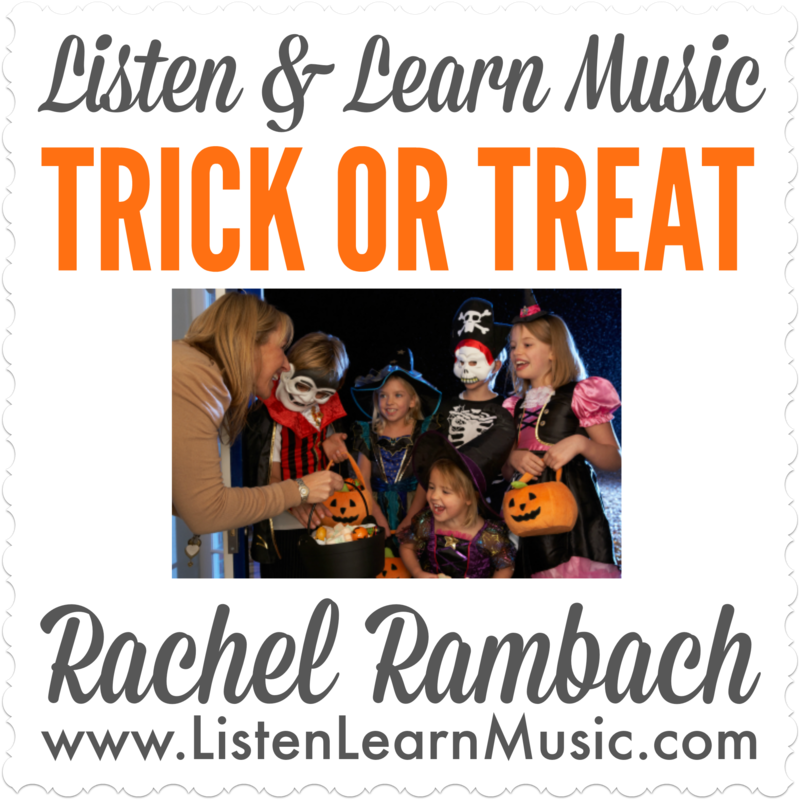 These four songs maintain the fun and spooky spirit of Halloween, while also focusing on the most important part of any music class or music therapy session — targeting those goals! 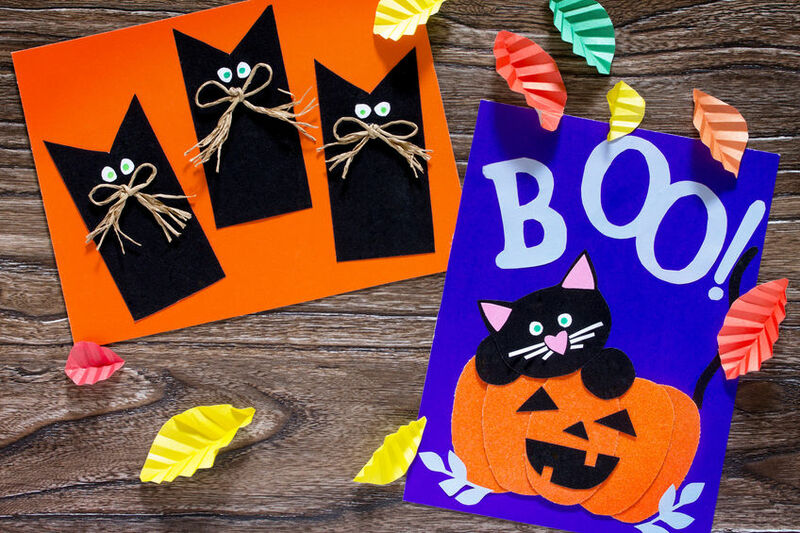 Tell me in the comments: do you incorporate the Halloween theme into your classes and sessions, and if so, what are your favorite ways to do that?